Give your Mustang show winning looks with 2010-2014 Mustang Roush decals. These windshield, side window, and rear window decals add a custom touch! 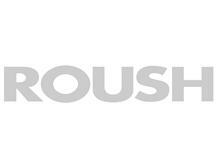 Add Roush decals to your 2010-2014 Mustang to compliment the performance parts you have on your car or just dress up the outside appearance of your car.